September 13, 2018, 10-11:30 a.m. The MEDTEQ Industrial Consortium for Research and Innovation in Medical Technologies and Healthy Brains for Healthy Lives (HBHL) are collaborating to accelerate technological innovation in the realm of neuroscience. If your research involves the development of new medical technology, you may be interested in these joint funding opportunities. In addition, projects will benefit from the vast and diverse MEDTEQ ecosystem of partners in industry, government and non-profit organizations as well as the international expertise of HBHL. Early stage projects can also benefit from MEDTEQ support in the development of industry partnerships. 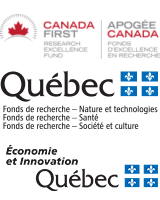 For more information, contact: hbhl [at] mcgill.ca (subject: MEDTEQ-HBHL%20info%20session) .